Login for part colour van prices. Select Page Home Vehicle Signs - Vehicle Questionnaire - Basic Liveries - Intermediate Liveries - Complex Liveries - Part Colour Liveries - Vehicle Wraps - Bike Graphics - Boat Graphics - Car Logos & Stripes - Car Graphics - Chevrons & Tapes - Lorry Graphics - Wheel Covers Sign Printers Clothing Suppliers Display Signs Safety Signs Printing Sign Printing Sign Making Sign Questionnaire Vinyl Lettering Contact Us. Go to our part colour branding coverage page. This is the coverage option you would pick if you needed a full colour logo as we will supply or apply vehicle lettering using up to three colours of vinyl, using shadows or outlines on some of the text and also by printing full colour high-resolution logos and images using our vehicle grade gloss or matt laminated vinyl media, in the areas depicted on the drawings. 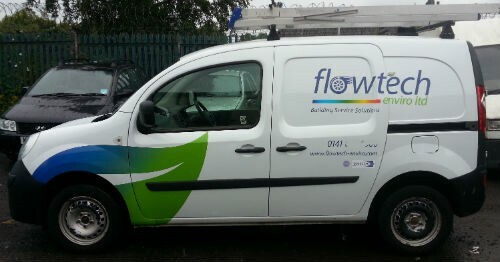 If you elect to apply the vehicle vinyl yourself we will supply you with a laminated drawing of the design. This will allow you to ensure that both sides of the vehicle are the same. Scroll down for more information and example vans or call 0808 144 2926 Alternatively fill out our vehicle lettering enquiry form. Part colour vehicle lettering and graphic branding examples. Click on photographs above to enlarge and begin start slide show. The prices we have listed for the various vehicle types with part colour vinyl branding are approximate costs. However, prior to finalising the design for the vehicle we will be able to supply you with a total price. These prices are usually around the costs that have been indicated. Part colour livery page. 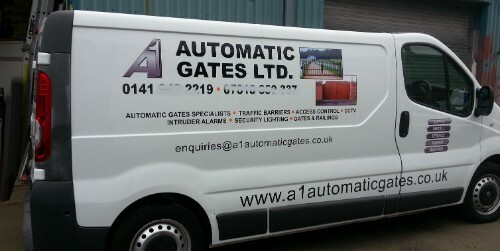 This is the coverage option you would pick if you have full colour logos as we will supply or apply vehicle lettering in up to three colour flat cut vinyl, using shadows or outlines on some of the text and also have us print full colour logos images at 720 dpi on our vehicle grade gloss or matt laminated vinyl media. If you decide to apply the vinyl lettering yourself, we will supply you with a scaled drawing of the design. This will enable you to follow the layout when applying the vinyl. Go to basic livery page. Within this option we are able to work with your chosen text and if you have a simple logo in a vector format we can also add that into the design after you upload it to us. After having our designs approved we can supply or apply your branding in one chosen colour from our 4 year vinyl range. If you decide to apply the vinyl lettering, we will supply you with a scaled drawing of the design, this will enable you to follow the layout we designed. Go to our intermediate livery page. If you select this level of coverage, we will supply or apply your branding in two colours from our 4 year vinyl range. If you decide to apply the vinyl lettering yourself, we will supply you with a scaled drawing of the design. This will enable you to follow the layout when applying the vinyl. Go to our complex livery page. 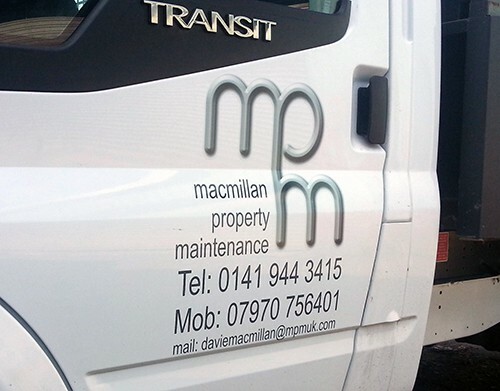 When selecting this coverage option we will supply or apply vehicle lettering in up to three colour flat cut vinyl, using shadows or outlines on some of the text and also have us print full colour logos and images at 720 dpi on our vehicle grade gloss or matt laminated vinyl media. If you decide to apply the vinyl lettering yourself, we will supply you with a scaled drawing of the design. This will enable you to follow the layout when applying the vinyl. Vehicle Wrapping We offer two services here, locally we can apply wraps to vehicles at our premises, however this is not a service we offer online as there are so many factors involved in a full vehicle wrap, to be able to sell these services online. However, we can offer a branding kit for a half wrapped vehicle as the indicative pricing below shows. If you are local to us and wish a cost for a full vehicle wrap can you please email john@doubleimage.co.uk with your requirements and contact details. Just click on the print prices below for the vehicle template and vinyl coverage you require, a pop up window will appear allowing you to add a vehicle half wrap branding kit to your shopping cart. 1. You can now order your branding kit. 2. Our estimators and designers will look at the files you have sent in, read through the information on the questionnaire and start working on a design, that fits the coverage. 3. Our designers will start by designing your requirements using the information you have supplied to us, whether that be drawings or information via email or using the questionnaire. 4. They will work on a template drawing of your vehicle. 5. They will alert you when there is a drawing for you to approve on your page. 7. Have the kit couriered out to you with a next day 4.00pm courier (as standard). 8. If something has not been applied properly and you need a re-cut, we are able to re-cut and dispatch replacement pieces fast, at a 30% discount on you original cost. Providing you can show us a photo of the damaged vinyl. 9. Timescale - dependiong on how busy we are we will get the work dispatched to you with 5 to 10 working days. When you receive your vinyl, it will come with centre lines and base lines drawn on the face of the application film, to make the job of lining up the vinyl easier. All the vinyl will be cut into blocks whenever possible, so you do not have to individually apply too many parts and will be supplied in a protective postal tube, complete with an application drawing and an application tool and finally, detailed application instructions. Click the prices below to order. 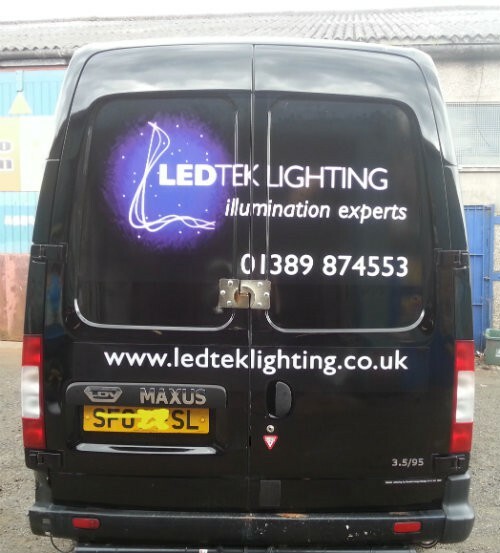 At 1 Stop Graphics we can design a vehicle livery and either apply the lettering in our premises in Clydebank or supply the vinyl and a scaled drawing of the vehicle design to allow you to apply the vinyl yourself along with a enhanced vinyl application kit and an application guide. 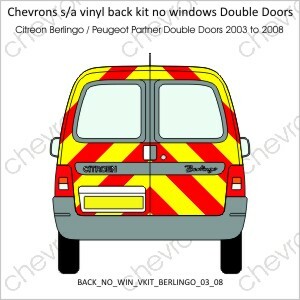 Vehicle chevrons available to buy for any van. Self application of vehicle lettering and small graphics is relatively easy if you follow the guide we give you and watch the application videos on the links we will send you. Please Note : We only offer an application service within the central belt of Scotland. However, we would consider appointing an agent in your local area to apply the vinyl to your vehicle if you prefer. We supply application ready vinyl and replace any vinyl should you damage them at a discounted rate. 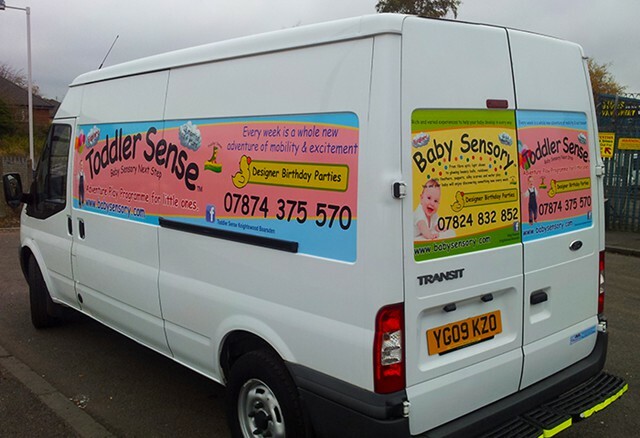 You will also receive a vehicle graphics application guide, an application kit should you require it and a laminated design of the vehicle to assist you when applying the vinyl. A vinyl application guide book. 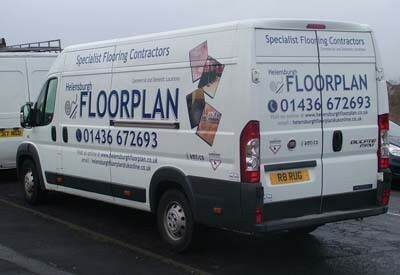 A laminated colour drawing showing your vehicle with the graphics in place. 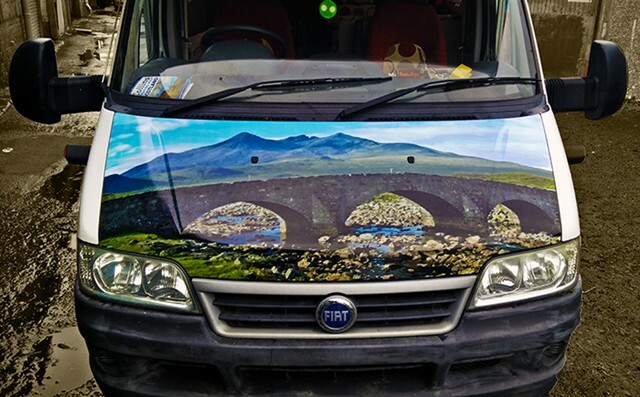 Since 1984, identical twin brothers and founders of Double Image, have been supplying both small and large companies with a complete vehicle livery service for all types of cars vans, lorries, bikes and boats comprising of: vehicle vinyl lettering and printed vinyl graphics, wrapping vinyl, wheel covers, car stripes and reflective chevrons. With Double Image loyalty discounts, clients have saved money by using our 1 stop graphics service over and over again. To assist our client's more efficiently, we have created you a client area for better communication. We have installed online custom built client area to allow you to login and view your estimates, orders and invoices. Build up and save tenders or projects that you are pricing.